Greetings local comics creators in Portland, OR! My name’s Lukas Ketner and I’m a local comic book artist/illustrator. I draw a book for Image Comics called Witch Doctor on Robert Kirkman’s Skybound imprint. 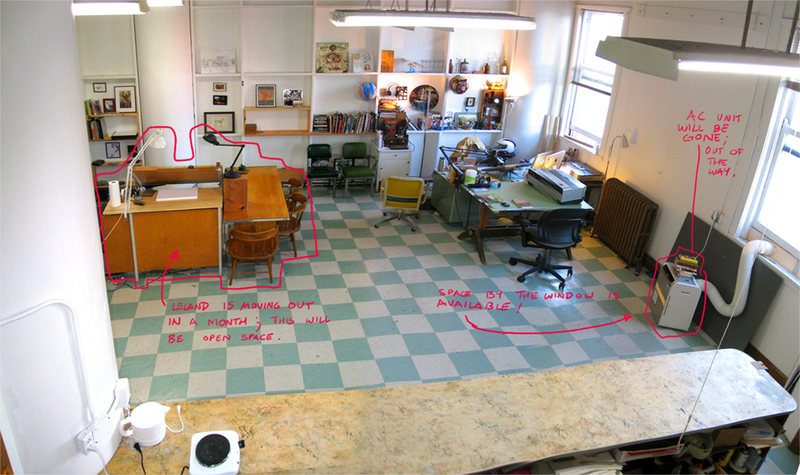 I’m currently looking for between 1-3 studiomates to fill a large-ish studio at 215 SE Morrison St. I’ve been in this space for two years now, and it’s served me well. My current studiomate is leaving at the end of Novenmber, so I need to find some other artists to share the space with soon! 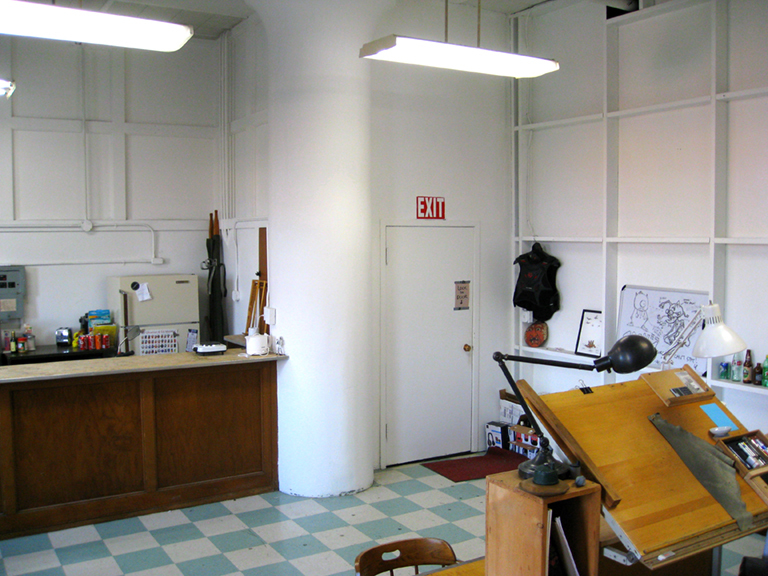 There’s space available to move into immediately, and we can rearrange the studio to fit the needs of newcomers. There’s even space by one of the two windows available. The space is pretty big, roughly 730 sq. feet, and seems like it could fit 4 people comfortably, so 2-4 people will have lots of room for multiple workstations/drafting tables/computers/whatever. 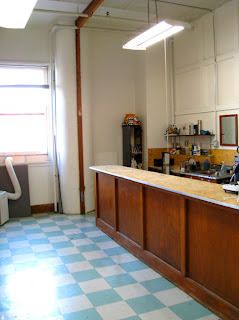 There are two large windows, a very high ceiling, and a kitchen/wet media area separated by a long bar/countertop. Fridge, microwave, big sink, lots of shelves, etc. Lots of friendly neighbors, mostly artists and creative types, including the advertising firm MUTT. The address is 215 SE Morrison St. #2014. It's right across from the Montage restaurant if you are familiar with the area at all. Just to give you an idea of pricing, we'd pay $190/mo with three people, and $145/mo with four. This includes the Comcast internet and renter's insurance, and there's no additional utilities or anything like that. If interested, drop me a line at lukasketner@gmail.com! New Witch Doctor comics coming in November!